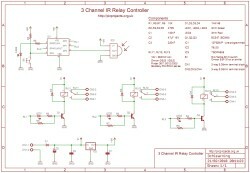 This project is a 3 channel infrared (IR) remote controlled relay driver. 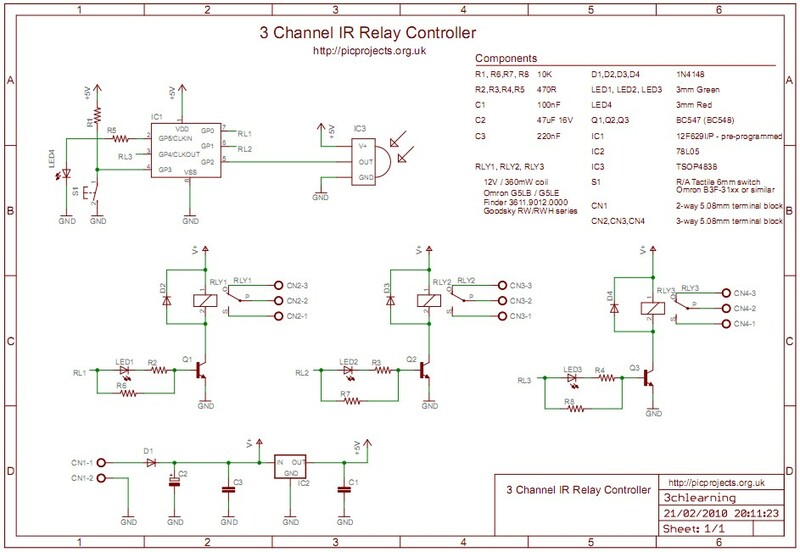 It works with 12-bit SIRC IR signals as used by Sony remote controls. The controller also features the ability for the user to 'program' the commands it will respond to using the IR remote control. Each of the three relay channels can also be individually configured for either toggle or momentary switch action. 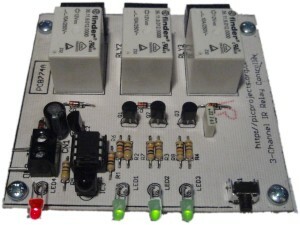 Although this project has been designed around the control of three relays, the PIC microcontroller can be incorporated in to any application where up to three logic level outputs are required to be remotely controlled. 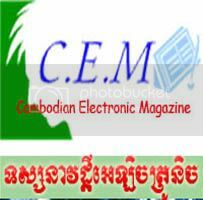 The HEX file is ready to program straight into the PIC using a suitable PIC programmer, for example a PICkit2.